Baranovich told agents he thought the plane's wing was on fire and was trying to warn others aboard the Delta Air Lines flight. SALT LAKE CITY — U.S. authorities have arrested a Ukrainian citizen accused of disrupting a Delta Air Lines flight and damaging the airplane by running up the aisle shortly after landing and attempting to open an emergency exit. Anatoly Baranovich was accused of interfering with a flight from Boston to Salt Lake City on Monday night, according to a complaint filed Tuesday in U.S. District Court. Authorities say Baranovich woke up during the plane's descent and started yelling in Russian. Baranovich told agents he thought the aircraft's wing was on fire and was trying to warn others. Officials say they do not believe he posed a terrorist threat. Baranovich was carrying a Ukrainian passport and U.S. visa. His age or place of residence were not immediately available. After the plane touched down, Baranovich got up from his seat and ran to the back of the aircraft, according to the complaint. He then tried to open the emergency exit door as a flight attendant ordered him to stop. The door jammed and caused an emergency inflatable slide to malfunction, which caused "extensive damage" to the plane's fuselage, the FBI said. Several passengers tried to wrestle Baranovich to the ground while he attempted to open another emergency exit door. 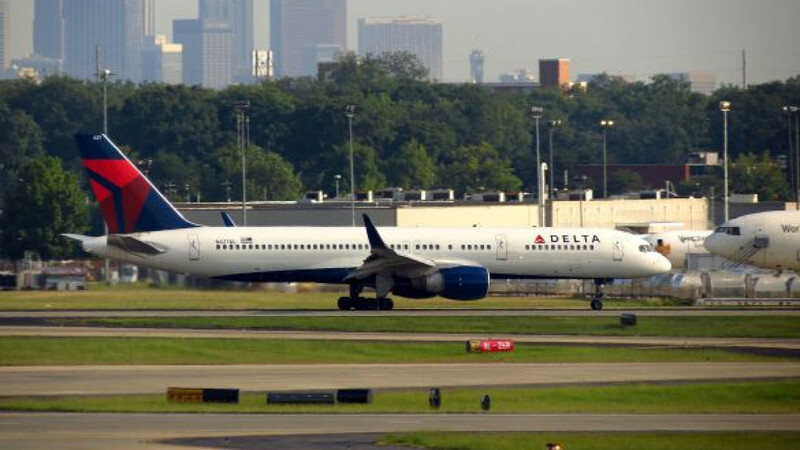 One passenger forced him to the ground and held him until the plane taxied to a gate, where law enforcement and medical personnel had been called. Baranovich told agents that he had been visiting family in Ukraine and was headed to Portland, Oregon, after a stop in Salt Lake City, according to the FBI. He also told agents he had consumed alcohol while traveling but did not specify when or how much. A Justice Department spokeswoman said Baranovich was scheduled to appear in court in Salt Lake City on Wednesday.